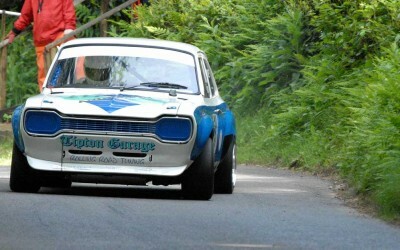 Torbay Motor Club ‘ambushed’ Tipton Garage’s Richard Miles at their May Wiscombe Hill Climb with a surprise presentation to commemorate the 40th anniversary of the firm’s founding. 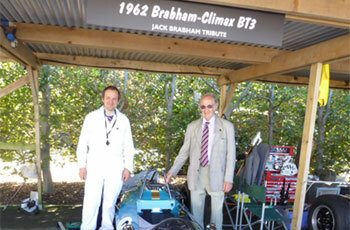 James Hudson, a Tipton Garage mechanic and Torbay MC member, was on hand to present a framed collage of pictures from the garage’s 11 years of sponsorship of the club’s events, starting with the 2005 Devonian Historic Road Rally through to their support for the club’s annual flagship speed event at Wiscombe Park. 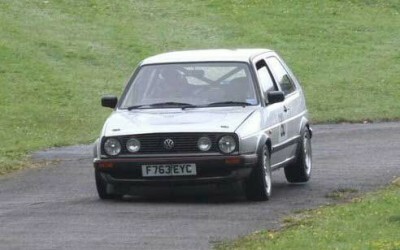 To round off a successful day, James recorded one of his best results to date in his self-prepared VW Golf GTi, taking second in class A2, a slim 8/10ths of a second behind the class winner. Nearly there James! 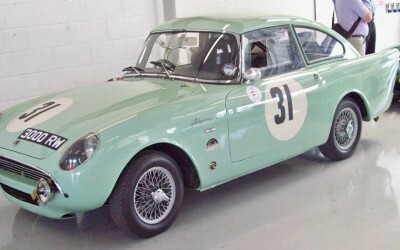 There is a wealth of motoring history wrapped up in Clive Harrington’s eponymous Sunbeam Harrington Alpine. Many of our customers’ cars can be seen on the race track, at track days and rallies, from local motorsport events through to prestigious international events.